The struggle to control garbage and encourage recycling led a Chinese city to try a method based on artificial intelligence that automatically rewards the citizen when they throw their waste in sorted bins. This innovative project is part of China's actions to use its own garbage, after prohibiting since January 1 the importation of different types of waste as a way to combat the problem of environmental pollution, one of its priorities. This smart garbage bins are becoming popular in the city of Qingdao, in the eastern Chinese province of Shandong. Since December of last year, the Shibei district of Qingdao started installing special bins in several of its neighborhoods. 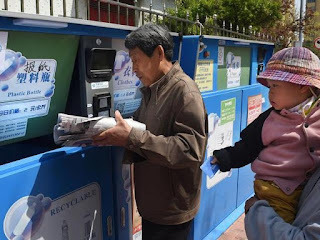 In a square in the residential complex of Hailun Street, a neighbor surnamed Wang passes a card through the reader of one of the three blue garbage bins marked with the word "Paper". The door opens, Wang puts some old newspapers and the reader's screen shows the weight and the price of the paper. When the card is swiped again, the door closes and 3 yuan ($ 0.48) is added to the woman's account. "Here, the kilo of old newspapers is worth 1.1 yuan, more than the recyclers pay," explains Wang. This new system is part of the efforts of the local government to encourage citizens to classify garbage. Residents can use the money from the cards to make purchases at some supermarkets in the area. Qingdao, a coastal city and important tourist destination, is having problems to institute the separation of waste, because the local inhabitants are used to combine waste of all kinds in a single bag and deposit it in the containers. 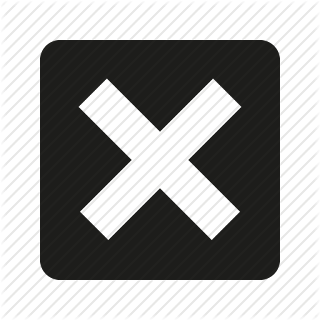 This causes difficulties for the collection, classification, recycling and treatment of garbage. About 2,900 residents of the district have registered for the test program, and on average they are collecting more than 1,000 kilograms of recyclable waste per day, according to local officials. The smart baskets are marked so that they can deposit paper, plastic bottles and used clothes or other textiles. There are plans to extend the baskets throughout China. The program will be extended to cover other waste, such as old electronics and expired medicines, the same sources said. China promotes the fight against environmental pollution through this innovative project after prohibiting the importation of different types of waste on January 1, 2018.